The Wake County Sheriff's Office says an employee of a tree trimming company was killed in an accident on Valley Brook Drive in Raleigh Tuesday morning. 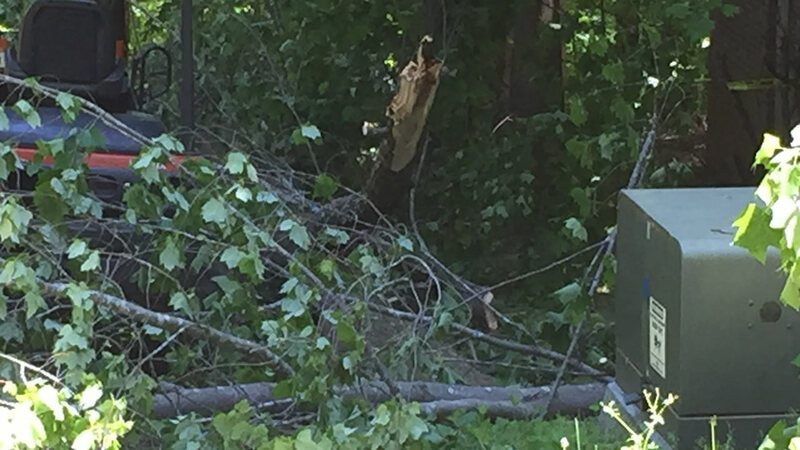 RALEIGH (WTVD) -- A man was killed when he fell from a tree in Wake County Tuesday. That's according to a 911 call made by a co-worker with the Davey Tree Company. The co-worker told the 911 dispatcher, "He was climbing a tree and it broke from the bottom. He fell about 45 feet in the tree." The Wake County Sheriff's Department has identified the worker as 29-year-old Anthony Wright, of Mebane. A sheriff's spokesman said there was no sign of foul play. It all happened at a home in Springdale Estates just across from Leesville Road High School. The man who called 911 said the tree came down with his injured co-worker and was across his legs. The man attempted CPR while waiting on rescue workers but it was to no avail. A neighbor told ABC11 that word of the tragedy spread quickly through the neighborhood. "I pray for his family and I pray for Mitzi who lives in that house. She's only lived there about a year. And she, I knew that she wanted to have that tree taken down," said Margaret Mullins. Investigators from the State Department of Labor's Occupational Safety and Health Division were on the scene for hours conducting an investigation. The results likely won't be available for weeks or months, but a Department of Labor spokesman said, prior to Tuesday; four inspections of Davey Tree Company have been opened in the past 10 years. He said one of those began earlier this year and is still open. He said the other three resulted in no violations.